The article was astonishing because its authors stated that the forces of labor alone were sufficient to have caused Glorianne’s arm paralysis. In other words, labor forces caused the severe stretching and tearing of the nerves that caused paralysis; there was no physician pulling or traction on the baby, and delivery instruments, such as vacuum extractors and forceps, were not used. In fact, the authors claimed that the shoulder had no difficulty navigating the birth canal –it did not get stuck on the pelvic bone, which usually occurs in Erb’s palsy cases. Erb’s palsy at birth often results from the baby’s shoulder becoming hinged on the mother’s pelvic bone, which is called shoulder dystocia. When this causes a failure of progression in labor, physicians frequently use increased force or delivery instruments to help extract the baby from the birth canal. In Erb’s palsy medical malpractice cases, the plaintiff typically argues that the physician used excessive force, either by pulling on the baby’s head or by use of delivery instruments, and that the force caused the baby’s nerve damage and injury. Defense usually counters by claiming that no excessive force was used. After its publication, this paper was used by defense experts in support of claims that excessive force exerted on a baby by the physician did not cause the baby’s Erb’s palsy or brachial plexus injuries, and that the natural forces of childbirth can cause brachial plexus injuries. Jury decisions often turn on whether the jurors believe the baby’s torn and damaged nerves were caused by a physician pulling too hard or due to the natural forces of labor. As it turns out, the article was an absolute fraud. The fraud was discovered by an attorney, Ken Levine, who had worked on a case involving Glorianne. Prior to publication of the article, Levine had read notes in Glorianne’s medical records that stated that she did, in fact, have shoulder dystocia during delivery. In addition, Dr. Salamon was deposed regarding delivery of Glorianne. During that deposition, it was uncovered that Dr. Salamon did apply traction to Glorianne when delivering her. You can imagine Levine’s shock when he realized that Glorianne was actually the subject of the Lerner-Salamon article about the baby who had Erb’s palsy at birth with no shoulder dystocia and no physician-applied traction. Levine is now representing patients that were on the losing end of jury verdicts in brachial plexus malpractice cases in which the Lerner-Salamon article was relied upon by the defense. Levine has brought suit against Lerner, Salamon, the clinic where Salamon practices, AJOG, and AJOG’s publisher. AJOG and its publisher have refused to retract the false article. The suit against AJOG, etc. is for unfair and deceptive business practices that have injured the plaintiffs, and the suit was brought under a Massachusetts statute. Levine claims that the article is misleading and that it stacked the deck against plaintiffs; defense lawyers have used the fraudulent article to sway juries in favor of defendant physicians who delivered the babies with brachial plexus injuries. In his complaint, Levine claims that medical experts in malpractice trials rely on reference literature published in AJOG as it is plainly recognized as an accurate and truthful source of medical opinion and is used by medical professionals as a platform to publish recent medical findings. 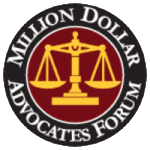 Levine further states that the article’s deceptive content has and will be used in malpractice trials as the article is very favorable for doctor-defendants, causing prejudice to plaintiff-minors. If used in litigation proceedings, defense counsel will be relying on a blatantly false report and thus will be misleading the court and jury as to the veracity of the case report. Last week, arguments were heard at the First Circuit Court of Appeals. Levine began by telling the Court that the article was fraud and that not one person who argues in the Court is going to deny that the article is fraud. The panel noted that all three judges believed the article to be untruthful and had concerns about it being in the public domain. AJOG and its publisher made first amendment arguments that were rejected from the bench by the panel. The panel acknowledged that in this case, first amendment rights do not extend to protect untruthful or fraudulent writing. The justices appreciated how the article has affected and can affect litigation. The major hurdles for the case are first causation; the judges are concerned about whether it can be shown that the article was the key piece in the juries’ decisions. Levine argued that this case should be handled in a manner similar to legal malpractice cases in which there first is a trial on the underlying issues – the brachial plexus injury issues – and then pursuant to Massachusetts law, the Court should hear the fraud issues without a jury. The Court listened to the arguments, but had many questions. The Court rejected all of the res judicata and collateral estoppel arguments and adopted Levine’s position in full. The second hurdle Levine faces is obtaining a Massachusetts plaintiff. The Court is concerned that Levine is trying to apply a Massachusetts statute to cases that were heard in Illinois and D.C. Levine feels that this issue is going to be the Achilles’ heel that may prevent the Court from removing the dismissal. He is hopeful that even if the Court upholds the dismissal, the Judges will comment about the fraudulent nature of the article. This would be a basis to fight the article case by case, as Levine and his partner, Sheila Mone, have been doing. If the Lerner-Salamon article is not retracted, other researchers will continue to cite it. In fact, it has already been cited in at least eleven published articles. AJOG articles are frequently cited in articles published by ACOG, which is another organization that frequently is under attack for publishing false or misleading items. Levine feels that it is the responsibility of the court to take a global view of this issue in order to protect babies. Regardless of the outcome, Levine and Mone will continue the fight. The bottom line is that the fraudulent article is hurting children. The team is researching bad faith and fraud statutes in other states and is searching for new potential clients. 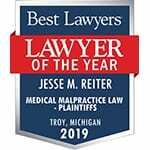 Due to the complex nature of birth injury cases, it is imperative to have skilled and experienced attorneys such as the nationally recognized attorneys at Reiter & Walsh ABC Law Centers. Our attorneys will research your case, find the cause of injury and determine if negligence occurred. For decades, we have been helping families in Michigan and throughout the nation with Erb’s palsy cases, and we have numerous multi-million dollar verdicts that attest to our success. We will fight to obtain the compensation you and your family deserve for lifelong care, treatment and therapy of your child, and you never pay any money until we win your case. Call us at 888-419-2229.